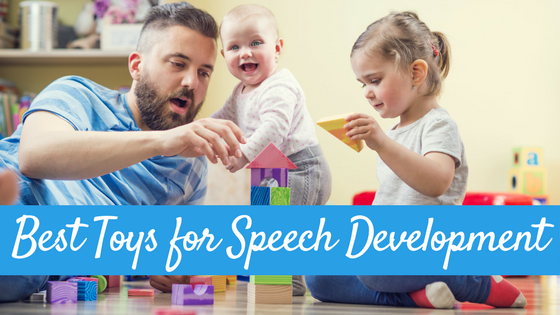 As a speech pathologist, I am asked questions by fellow parents all the time about their child’s speech and language development. Why doesn’t my child say his /r/? Why does my child say /t/ for /k/? 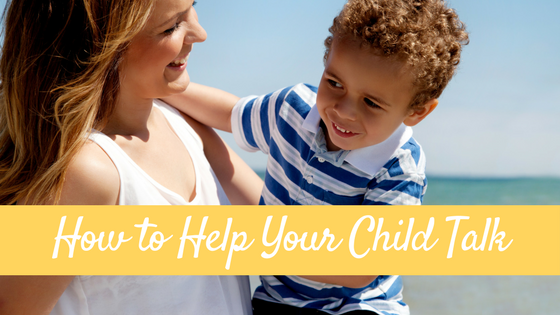 Why does my child repeat things I say? The truth is, these questions are good questions. Why does your child do that? And….is it normal? 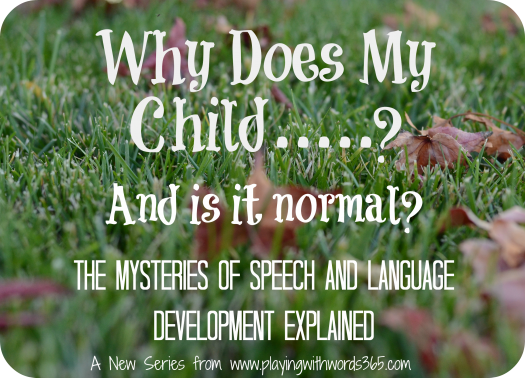 These questions prompted me to start my new series where I will try to explain why children do the things they do in relation to speech and language development, and let you know if it is normal, or not so normal. 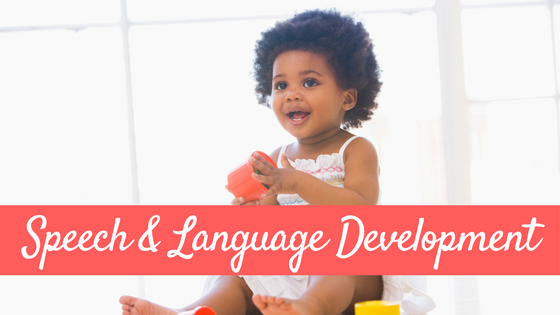 You can let me know in the comments section of this post or shoot me an email at Katie@playingwithwords365.com and let me know what YOU want to learn about! Check back next week for the first post in this series! I hope you are teaching classes! These are awesome! So great! We see a S.T. currently, but she is only here for an hour a week, and I come up with questions all week long and then forget them or don’t have time to ask. My sone who is 2.5 is very behind on speech but very ahead on literally everything else, including comprehension. Here are some strange things I have noticed: words that he says frequently that are not actual things, such as “kahnee”, which he says like 7 times a day and he seems to be using when he does not have the word for what he wants to say. “What would you like for christmas?” “KAHNEE!”. It is not candy, it is not anything he can point out to me. He has a few other of those. He also repeats the last word of my statements frequently, but when prompted, refuses to say them again. Why can he say, “no baby! Go away!” but can’t say “banana”, even though he can say “ba” and “nana”? 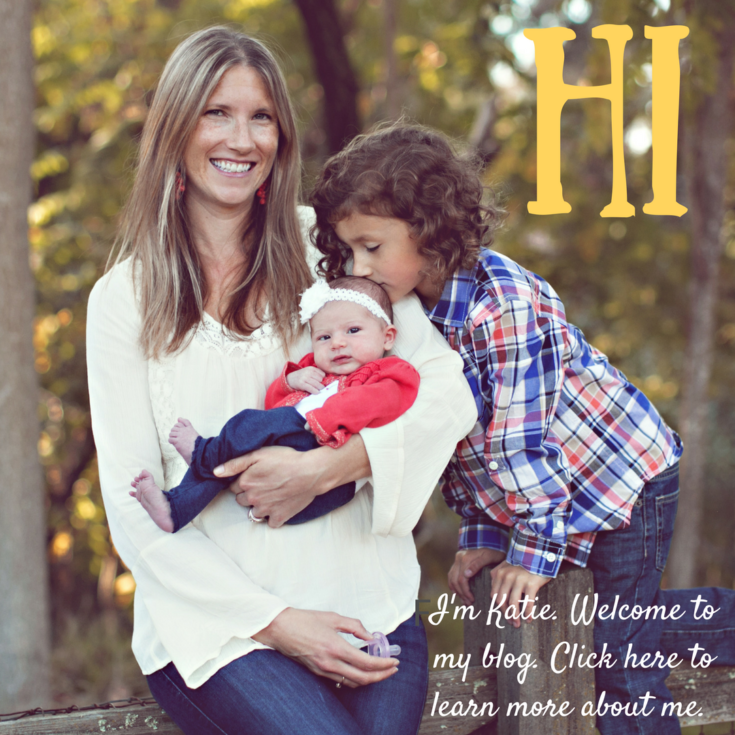 Love this idea Katie! You always hit the nail on the head! I get these types of questions weekly! 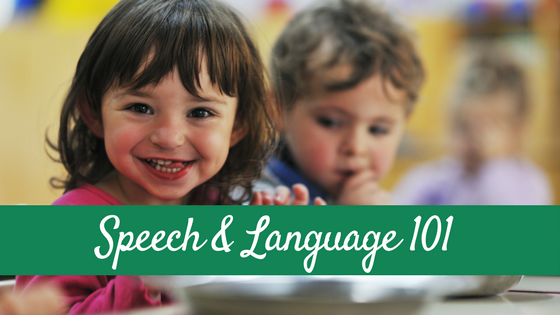 I’m sure parents (and SLP’s) will love it! Keep up the greatness! 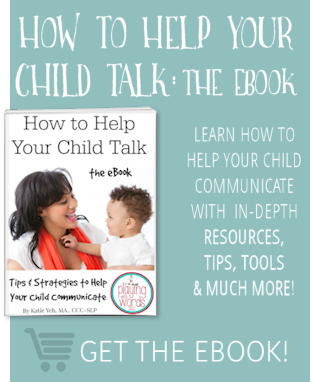 Question – Why does my 18 month old say words for a week at a time, and then seemingly stop saying them, even when prompted?